Andy Warhol Inspires New Summer Fragrance – Sooo Fabulous! I’ve made up my mind that no matter what this fragrance smells like, I want it. The Bond No. 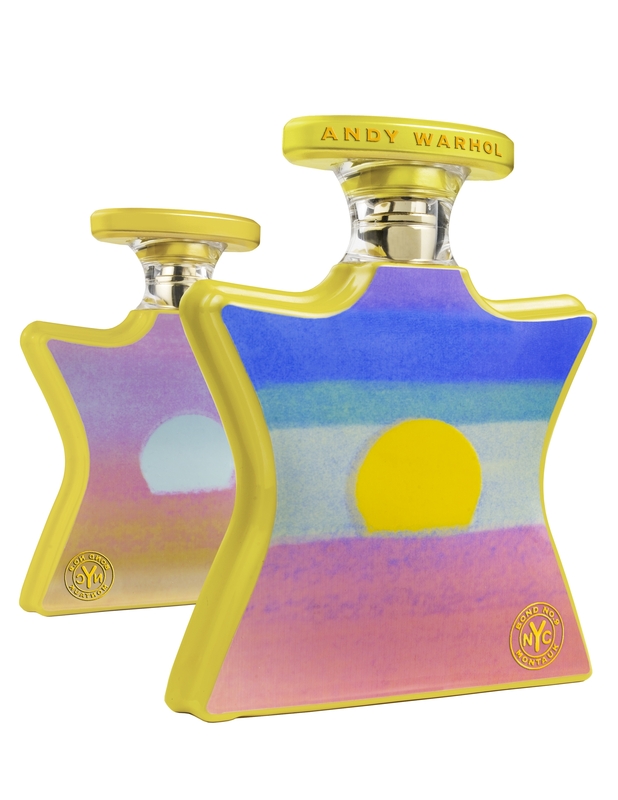 9 Andy Warhol Montauk makes for a great vanity piece (if nothing else) with the bottle’s surface design displaying Warhol’s iconic Sunsets, which dates back to 1972– just a year after the artist discovered Montauk. Anyways, the fragrance is the fifth in Bond No. 9’s series of Warhol collectible eaux de parfum and is an androgynous male-female summer perfume. According to Bond No. 9, it takes a new approach to the genre of beach scent and was inspired by Warhol’s forays to Long Island’s farthest reach. It will cost you between $145 and $220 to have this bottle on your vanity this summer. It launches on Memorial Day.